Bring in the holiday spirit by singing Christmas carols, drinking hot cocoa and creating a memorable Christmas ornament with your child! Bring a friend and get your name in a drawing for a $75 Music Together® gift certificate! Register on the classes page. Monday December 17th at 6:30-7:30pm. Join us Saturday September 8th at 10:00am or 11:15am for a celebration of world music with songs from around the world, creating an Aboriginal stick craft and snacks from different countries. 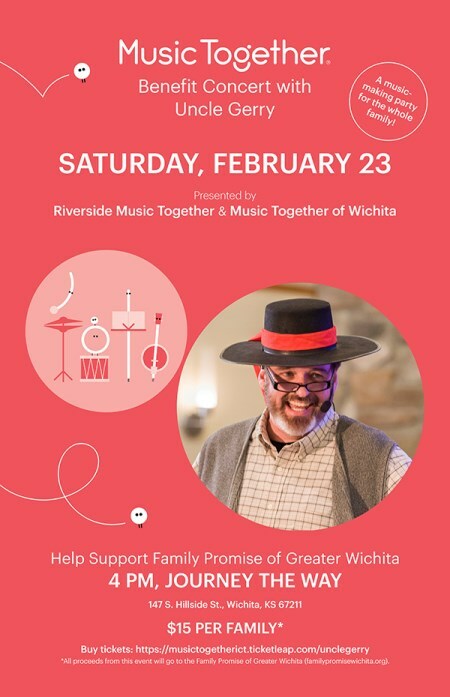 This is a FREE event to celebrate YOU, my special Music Together Families! Bring a friend and you will recieve a $10 off coupon for a future registration for you and your friends! Register under the classes page. Space is limited! Join us for the Fiddle Song Collection this Fall! You’ll learn twenty-five beloved Music Together songs and activities you can recreate at home. During the chant “Sounds of Fall” your child will be mesmerized as the class expresses the sound and movement of leaves falling and birds chirping and flying. In “Old King Cole” you will don the persona of the King, Queen, Prince, Princess, and Baby as you sing, drum, and fiddle together. In addition to your weekly classes, your tuition includes recordings and materials for you to use at home, a family newsletter with more at-home music-making ideas, online access to the songs through the Hello Everybody app, and a family newsletter full of resources and music-making ideas. Sign up now for the Fall Semester and save your spot! Sign up now and pay on the first day of class. Classes fill up quickly in the fall. Classes begin on September 13th! See what a Mom had to say about our classes! "My daughter, has taken Music Together classes for about a year now and has loved every minute of it! She is always excited to go to class and see her friends, learn something new and sing with her dynamite teacher Marcee. Marcee is kind, caring and extremely energetic. Vivian recently had her end of the year music program at school and I was so impressed with her stage presence. She knew all the words and actions and had a smile on her face the whole time. Many of her peers were mumbling and not paying attention. I believe a big part of her stage confidence has come from the Music Together classes"
Saturday June 23rd at 10:00am at the Art Park-Please RSVP, space is limited. Are you thinking about joining the spring semester but would like to try out class first? Now is your chance! Free Demo Class on Saturday March 31st, 2012 at 10:00am. Click on Free Demo Class to register. See you soon! 5-, 6-, and 7-year-olds. Big Kids classes lay the foundation for Basic Music Literacy, complementing music instruction in school or instrument lessons, and leading to a lifetime of joyful music-making. Early, ongoing childhood music education profoundly educates every child! "Almost all of Bridgeport early learners who participated in Total Learning's Music Together parent-child classes ranked above national norms in key developmental domains after exposure to the program"